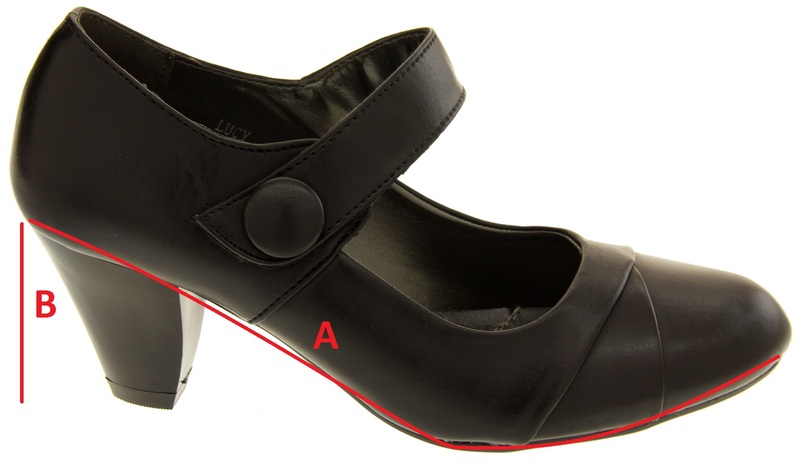 These mary jane court shoes are stunning. 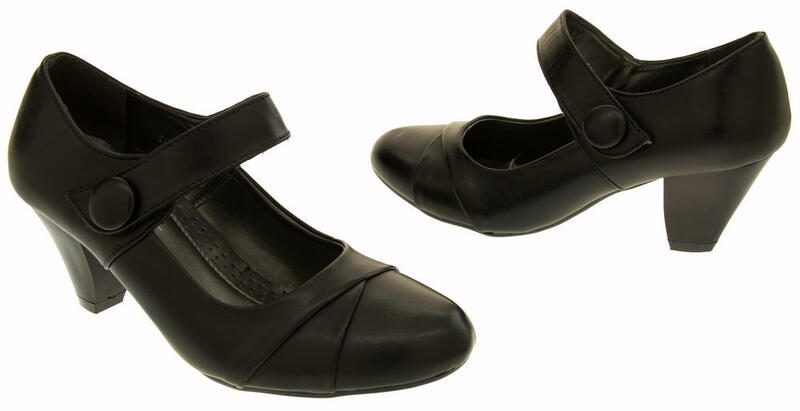 They have a faux leather upper with cross over detailiing to toe. 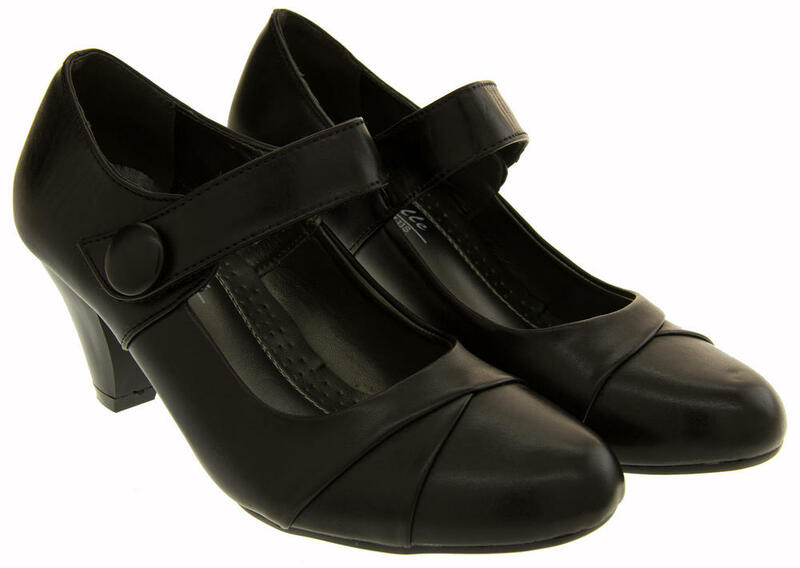 The strap has a large black button design with Touch Fastening fastening. 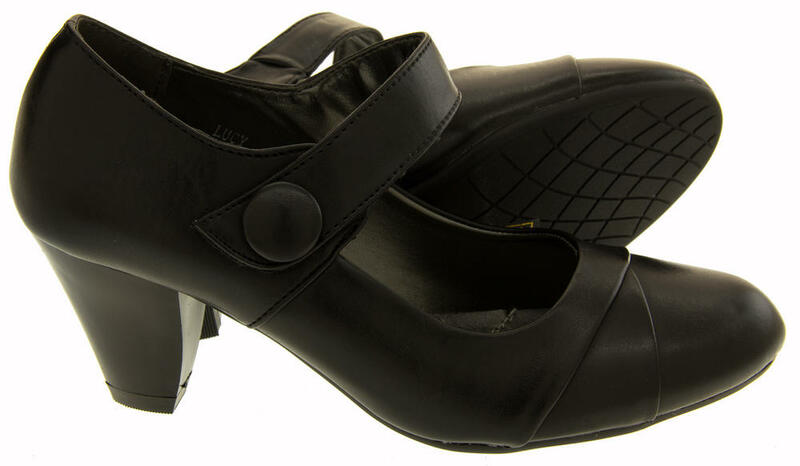 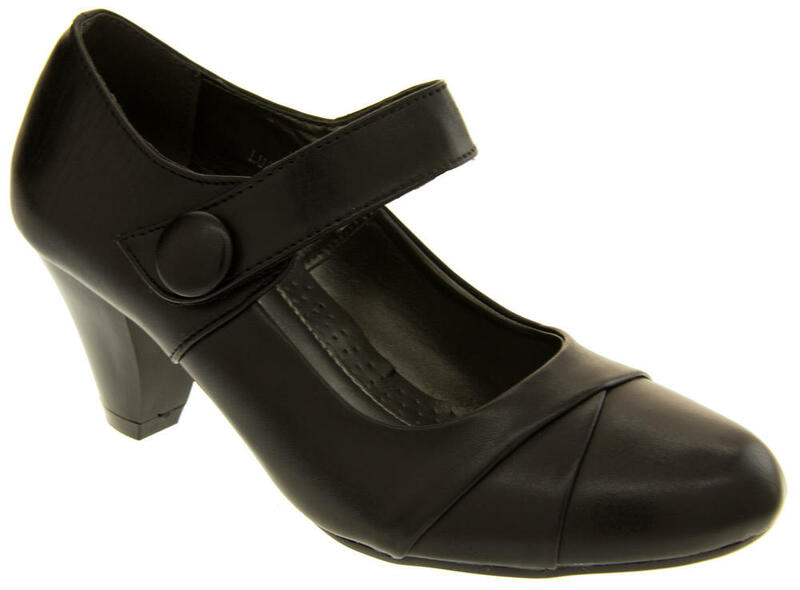 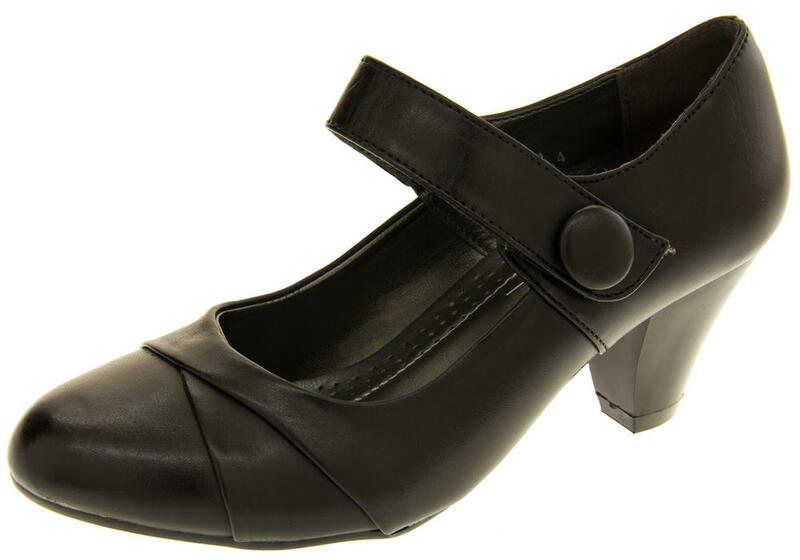 This Mary Jane style court shoe has a low/mid heel and has a timeless elegant design perfect for every womens wardrobe. 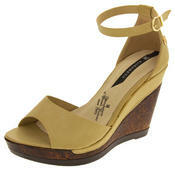 Whether your going to work or an interview or just meeting up with friends, look stunning in these stylish heels.